Their wedding service showed what a breath of fresh air Prince Harry and Meghan Markle are—and they are following in the rebellious tradition of Harry’s mother, Princess Diana. 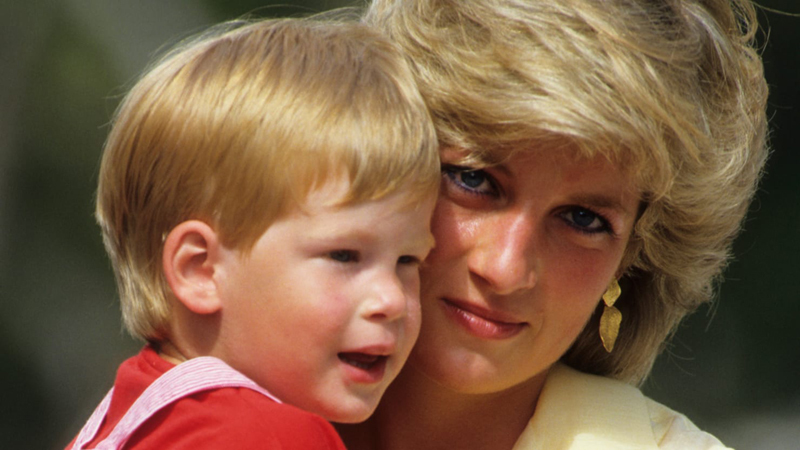 Princess Diana scored a remarkable posthumous triumph with the wedding of Harry and Meghan. Make no mistake: It was her spirit that permeated this spectacle. Stoically Charles told a friend that he wanted “to do the right thing for this country” and so, out of a sense of duty, on July 29, 1981, he wed the virginal English rose, Diana Spencer. There could not have been a more soaring and permanent rebuttal to that heart-breaking attitude than the sermon delivered by the black Episcopal Bishop from Chicago, Michael Curry, a literal torrent of evocations of love that rained over Charles as he sat in a pew alongside the woman who had always been his real love, Camilla Parker Bowles. Camilla was the woman to whom Charles had confided that if he came back in a second life he would like it to be as her tampon. It seemed at the beginning that Diana would suffer the fate—and consequences—of another disruptor who had preceded her, the queen’s sister Princess Margaret. Margaret had fallen in love with a war hero, Peter Townsend, a married man. The whole weight of the establishment—church, state, and palace courtiers—had crushed that love. Margaret became a troubled, volatile rebel and, after a failed marriage, increasingly alienated from the rest of the royals. Diana fought hard to avoid that fate. As she became the world’s favorite princess she tried valiantly to ignore Charles’ infidelity while being the obligatory producer of princes. Eventually, she found the strength of character to rise above Charles’ very public betrayal and above the required dumb obedience expected of her by the royal tradition. Harry and Meghan, the Duke and Duchess of Sussex, are clearly in that mold. Their spirit is Diana’s spirit, breaking down the walls between the monarchy and the people, while at the same time inviting the royalty of show business to their wedding rather than that of the remaining royal houses of Europe. There was an echo here in the glamour of the guests invited to the marriage of that other American beauty who became a popular princess, Grace Kelly, to Prince Rainier of Monaco in 1956. But this was a far more sweeping location than a small rock in the Mediterranean. The choice of Windsor as the wedding venue provided an unrivaled setting—a daring display of medieval pomp and production values on a scale that not even Hollywood could ever match. All the many moving parts moved in immaculate order, in the service of a great and natural love match. Nobody does it better, and they have given the world a rare good day that was sorely needed. Elizabeth II married Philip at Westminster Abbey, with its stone floors encasing many illustrious corpses. Charles and Diana married at St. Paul’s Cathedral, another tomb of the great and the good. In contrast, Windsor Castle has a magic that doesn’t seem at all embalming. And it affords one of the most symbolic, impressive, and accessible routes for a royal cavalcade, from the ancient ramparts through the small town, along a shimmering, bucolic avenue to the majestic St. George’s Hall, restored after a disastrous fire in 1992. Metaphorically, Diana burned down the penitential structure that had attempted to restrain her. Harry and Meghan will now enjoy and represent the spirit of that brave rebellion.